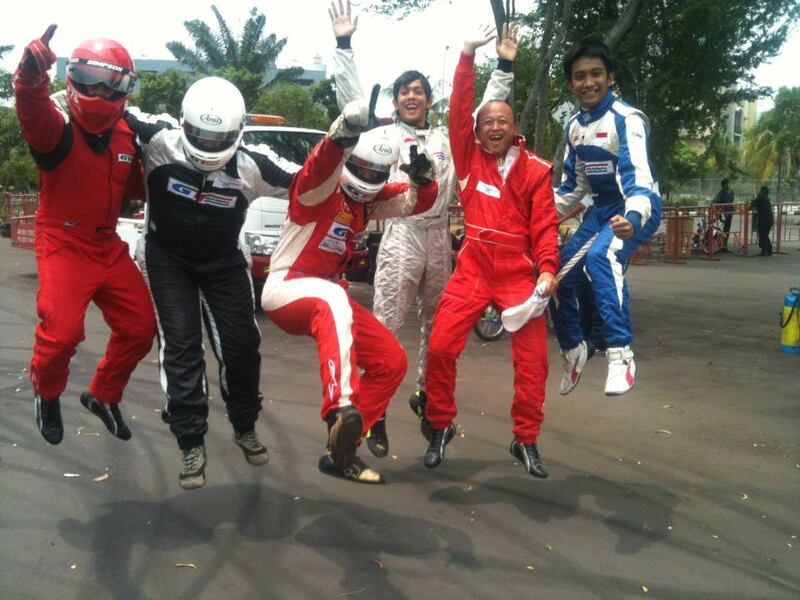 Home » Formula Drift Indonesia Begins! We arrived to Jarkarta to some very hot and humid weather. Daijiro met us at the airport and we went straight to the track. 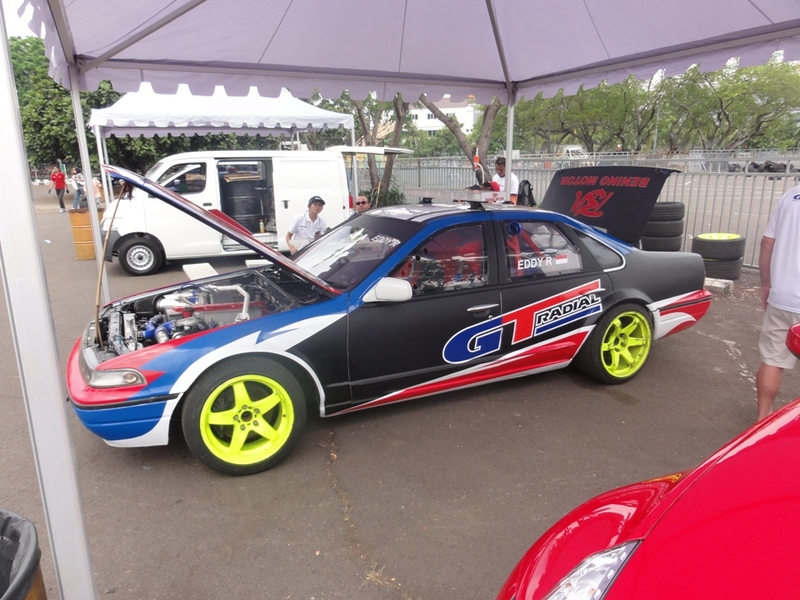 The 2J powered Cefiro I’ll be driving was there and ready to go, along with the owner EddyR and the workshop owner I only remember as ‘Pooh Bear’ as that’s how I was told to remember his name. Then I got to meet the rest of the GT Radial team that would be competing at the pro-am for a spot in the main event. Soon from KAZAUTO Malaysia will be my spotter for the weekend and also works as the team manager. 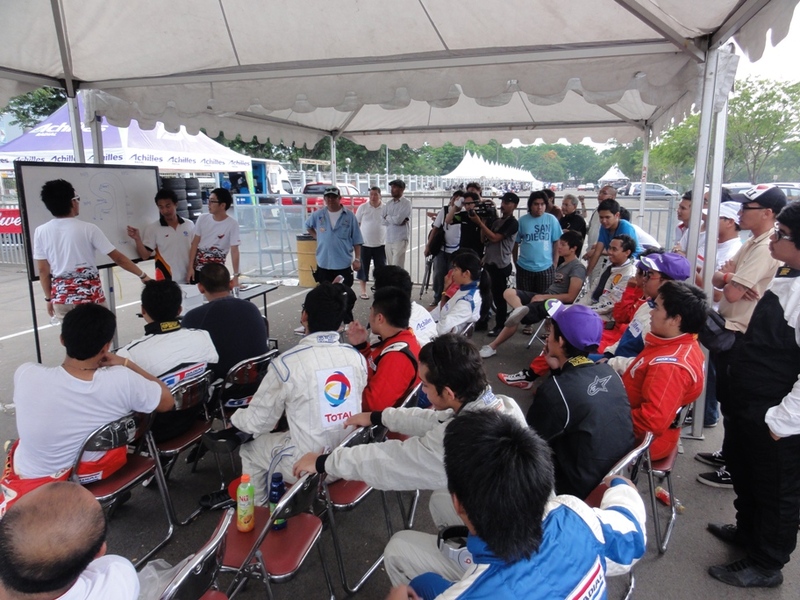 We then went to our first briefing with Dai and FD Asia Director Jeremy taking us through the course. After the team had been out for practice, Sun and I discussed the improvements we could make on a dirt map with some sweet bottle caps for clipping points and cloth for the outer zones. Our team went out on track next and and all qualified in the Top 16, including taking out 1st and 2nd place. 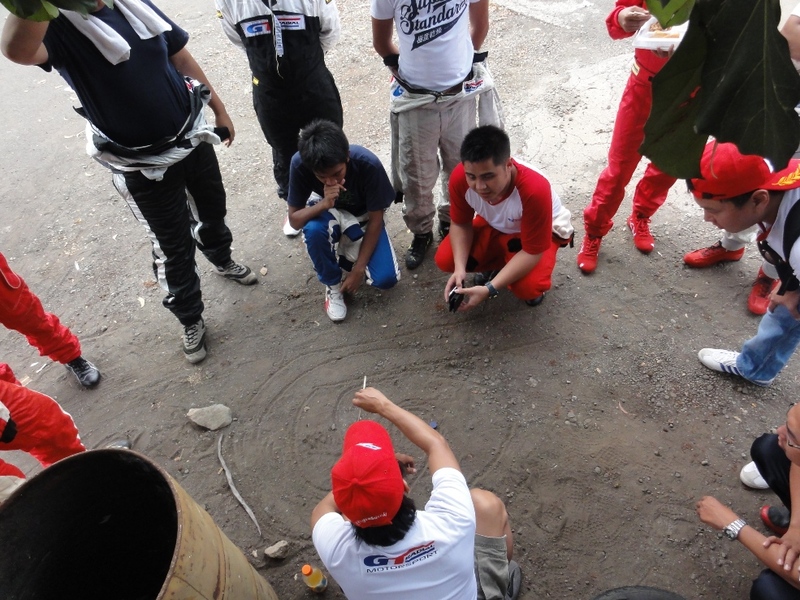 When the battles were over, GT Radial took home 1st, 2nd and 3rd place! The team were pretty excited! After the comp was finished for the day, I got one run in the Cefiro. We have a lot of changes and adjustments to make to make it drive the way I need it to, as it felt very stiff. However, Pooh Bear assures me that we can make the changes today and have it set up just right in time for competition tomorrow. Right now, I’m just soaking it all in and will be sure to have an early night. It’s going to be a massive day tomorrow.